This winery was founded in 2014 by a family of University of Wisconsin alums—thus, the jaunty badger gracing all the labels. (Fun fact: Badgers are, in fact, native to Sonoma County.) Beyond the taxidermy badger that greets you, the property’s real gem is the sleek, modern tasting room, designed by Gould Evans architecture. 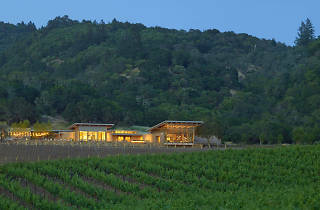 The 5,700-square-foot space features 18-foot windows with views of Sonoma Mountain and an outdoor deck overlooking 100-year-old olive trees and an infinity pool. 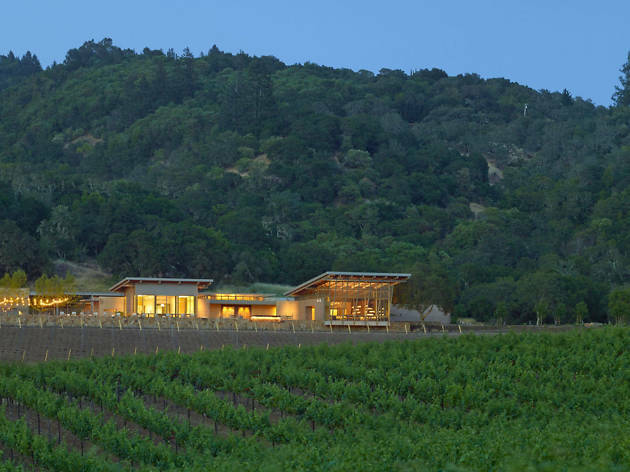 Nearby, the 12,000-square-foot wine cave includes yet another tasting area and dining room. Estate tastings include cheese and charcuterie pairings, while the Reserve experience rolls out a full four-course meal alongside pours of sauvignon blanc, rose, zinfandel, and Isthmus, a cabernet sauvignon blend. The vineyard employs organic and biodynamic methods, producing wine in limited quantities.